Subject: All flesh will bless His Holy Shem forever. And let all flesh bless His Holy Shem forever and ever. These are the closing words of David’s prayer. David longs for that day in the future when “all flesh” will bless God’s Holy Shem forever and ever. All flesh will bow and worship the only true God Yahweh, Amen. Let’s also have this longing in our hearts when we pray. Learn from David to call on God's Name everyday and bless His Name. We see David mentioning the Name of God and Yahweh's Name throughout the short prayer in Psalm 145. 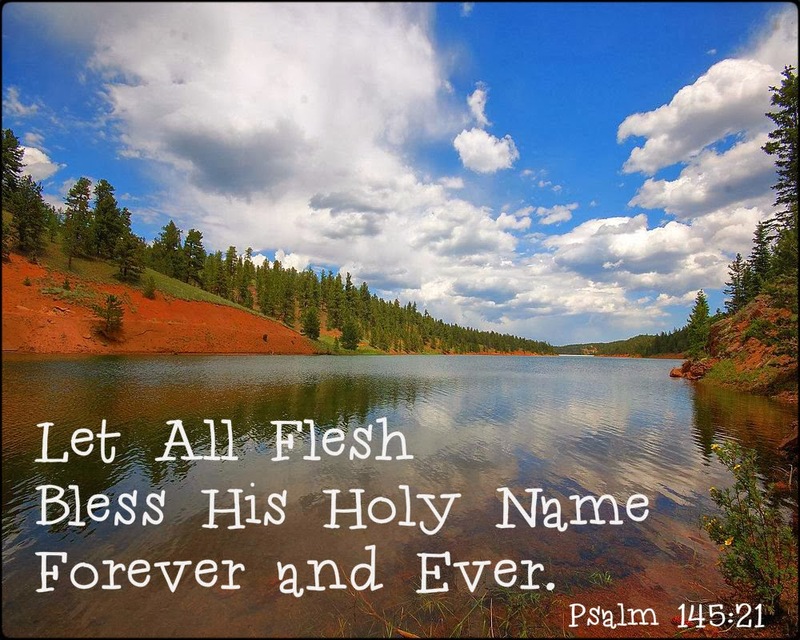 Psalm 145:1 I will bless your Name forever and ever. Psalm 145:2 I will praise your Name forever and ever. 1. Psalm 145:1 Great is Yahweh, and greatly to be praised. 3. Psalm 145:9 Yahweh is good to all. 4. Psalm 145:10 All thy works shall praise thee, O Yahweh. 6. Psalm 145:17 Yahweh is righteous in all his ways, and holy in all his works. How sweet is the Name of Yahweh! Blessed be the Shem of Yahweh forever and ever.